A few days ago I came across something that further confused my already complicated relationship with make-up: this. 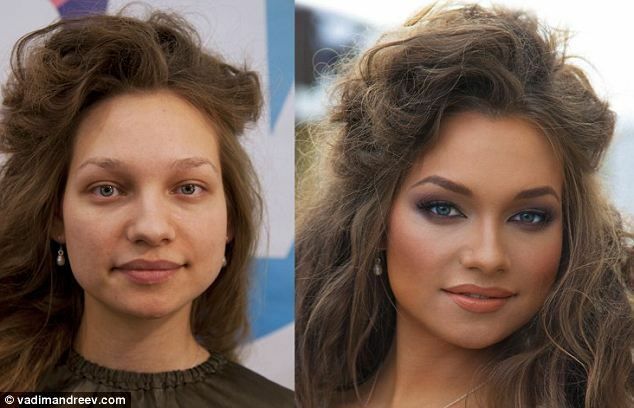 I was barely aware of the ways make-up alone can transform a person’s face, right down to how their bone structure appears beneath the skin. But I always assume this is complex work done by the pros – the backstage magicians that do so much behind the scenes. But in real life? Surely not. Do real people (I’m mostly looking at women here) spend hours of their time in front of the mirror, working out the best ways to make their skin look like it glows or their face appear a different shape, in an attempt to transform their outward guise into that of a cross between Rihanna and a human Barbie princess? I am faced with the definite possibility that yes, real women do do this. But why? Why are so many women so bent on such extreme self-alteration? It’s like airbrushing reality. Applying a new face every day allows you to reinvent yourself. As your ideal you. As someone you’re not. Maybe it’s a kind of protection. Like a self-preservation method to disguise something you’d rather not show the world. But doesn’t hiding give that old familiar self-esteem problem a freer reign over you? Running away from reality only makes things worse. If taking off your make-up at the end of the day reveals a completely different face, you’re not really showing the real you to the world. It’s like lying to everyone around you. And lying to yourself too – the uncanny self that’s trapped underneath all the falsity, whom you can see only when you look your mirror self in the eye. And the thicker the make-up, the deeper the lie. I’ve had photos taken that do not look like me. My skin looks nice. I even think I look pretty. But there’s something missing, something strangely unfamiliar about my own face. Even though I know it’s me, it’s not really me. And everyone who saw it agreed. I hated it. It was the make-up. 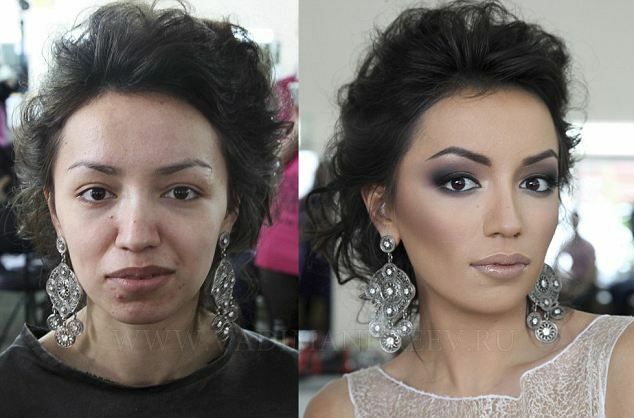 What really worries me is the knowledge that some women feel they cannot do anything without make-up on. Some don’t leave home, or even their bedroom, without making a change to ‘improve’ their face. Women, young and old, can go through entire relationships (with partners, friends, family) in which the people around them never actually see their face for what it really is beneath. For me, this seems like a horrifying prospect. Another constraint forced upon us by the ‘f***ing patriarchy’ to restrict our ideas and prevent the free expression of ourselves as individual people. I know, though, that things could be worse. We could be suffering from a fashion phase of plastic surgery, in which women would all have one of three standard ‘beautiful’ faces that happened to be in Vogue at the time, like the South Korean models who looked identical at the ‘Miss Korea’ pageant. This sounds like a horror story used to shock us, but it might strike more of a chord if you’d seen the plastic surgery advertisements lining the walls of the subway system in Seoul. It’s terrifying. For now, I comfort myself with the knowledge that I, personally, am not afraid to go to work, the pub, the gym, on a date (yes, I did that recently!) without any make-up on. It feels like a minor act of rebellion every time.